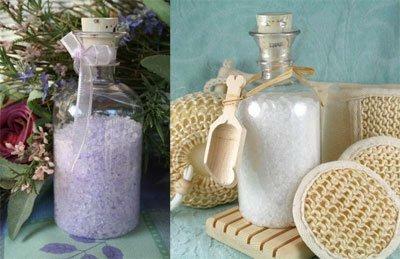 I purchased the Bamboo & Teak bath salts as a gift for a friend's birthday. I love the way they are packaged and that little wooden scoop is so cute. The friend I gave them to said that she LOVED them and that she has never had such a relaxing bath. She also loves this scent and now wants the matching soap and lotion. I have given her Liz's website address so she can do an order.